It is hot this week—really, really hot. Yesterday we spent the afternoon not really knowing what to do because of the heat. So we defaulted to swimming in the pond, waiting until the afternoon breezes started up, before heading up to the barn. Life at Water Run Farm has pretty much been centered around the barn. After a series of twelve hour days ripping out the sub-floor and floor and repairing floor joists, Mark began laying the 2X10 hemlock boards. 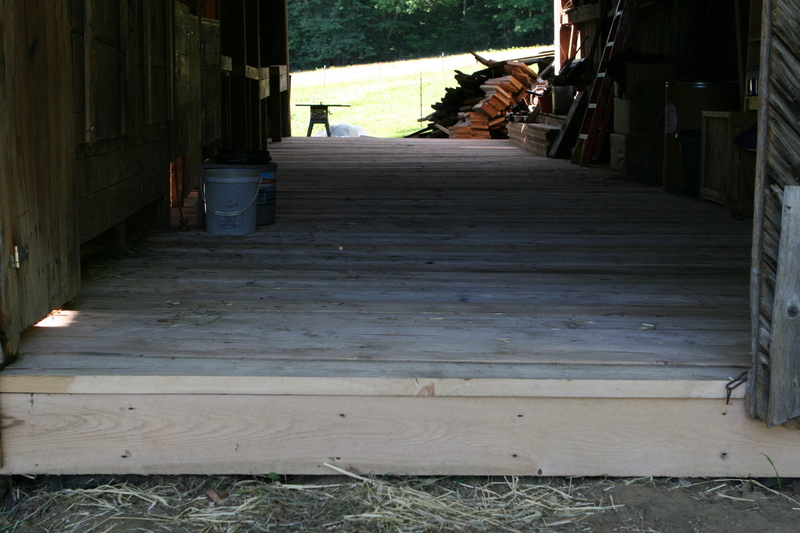 The old timers and barn builders advised us to use green hemlock boards. Hemlock holds the nails and will dry with gaps perfect for draining stalls. 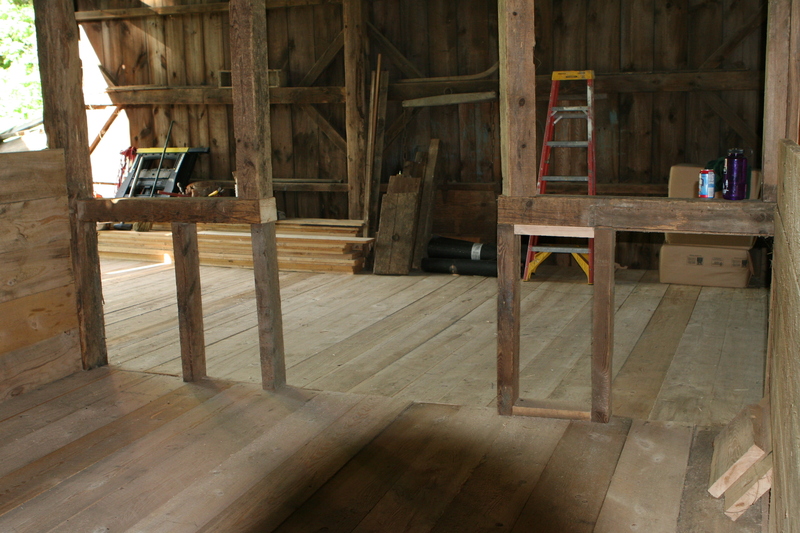 Mark worked on reinforcing the stall walls, too, and completed a third stall. 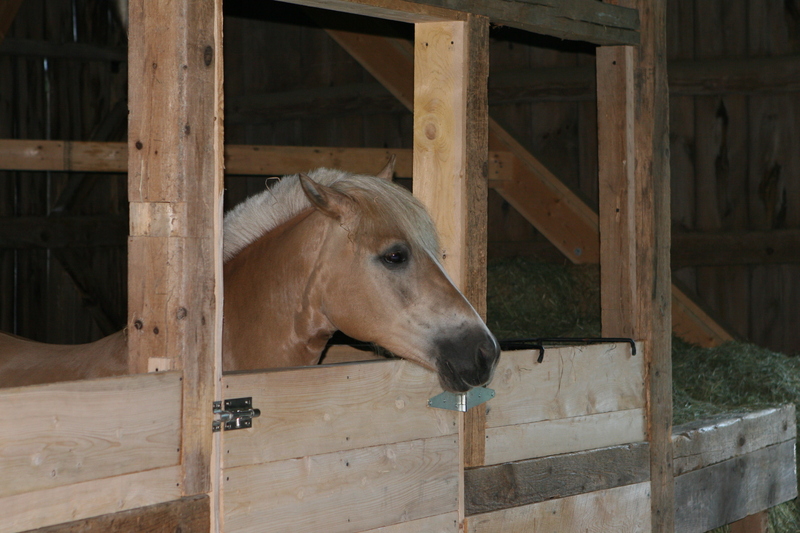 A third stall: yes, the horse project continues with the arrival on the fourth of July of Caddie (we say “Katie”) , a thirteen year-old Haflinger mare. Caddie is the mother of a Kirchel, one of Debbie Hardy’s horses that Ellinore has been jumping in horse shows. 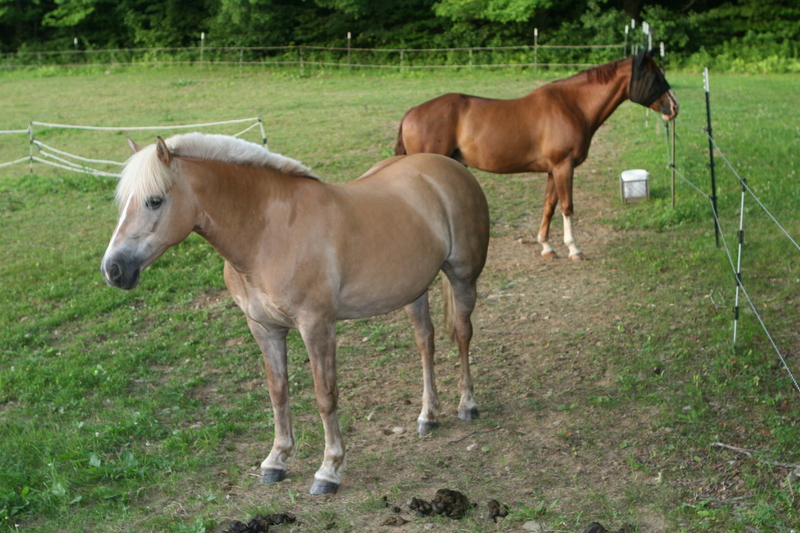 Haflingers are mostly light chestnut in color with a white mane and tail. Also called Avelignese (from the Italian word for Hafling, a town now in Northern Italy, called Aveligna or Aveleng), the Haflinger was bred as a mountain pack horse that was also used for agricultural and forestry in the alps. 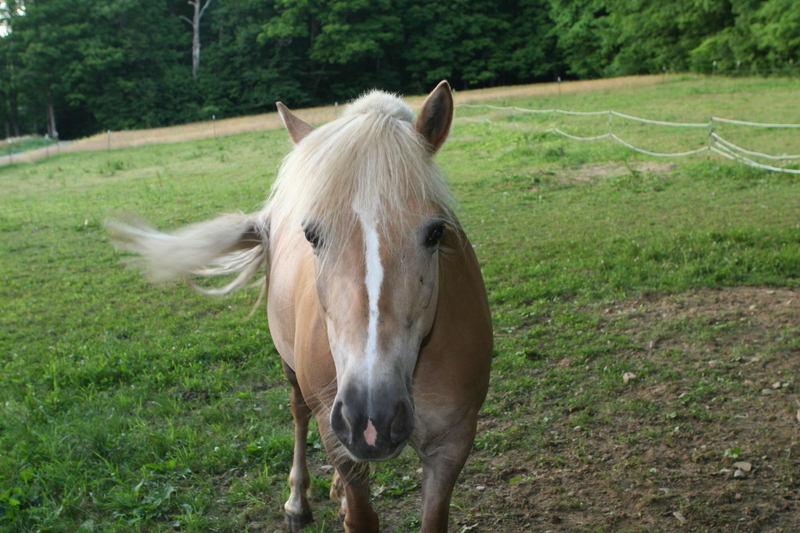 Caddie is a classic Haflinger. Somewhat small, her muscular build, large head and wide chest make her an interesting contrast to the more petite Reme. Caddie was Mac’s pasture mate in Vermont, and they adore each other. Though Mac has clearly established himself as the boss, Caddie is assertive and will tell him his business should he get out of hand. Reme watches their antics, somewhat amused. Reme and Caddie seem to get along well, though Mac and Reme are in a separate paddock. With Caddie in the barn our chores take a bit longer mornings and evenings. There is more mucking and more hay to pitch and water buckets to fill. There is still more work in the barn, too. We need to figure out the most efficient manure system and Mark has promised to build cubbies against the back wall for boots and helmets and other gear. The roads and forest trails of Water Run Farm and environs are turning out to be perfect for riding and Ellinore is out most every days with her mom, her friend Carrie or even her dad riding.